Synaptiq Ltd commissioned Rapitypes to develop the Virtual Chaperone, a system for recording ‘one to one’ consultations between healthcare practitioners and patients. The recording is encrypted and archived to provide objective evidence supporting or refuting claims of negligence or misconduct. 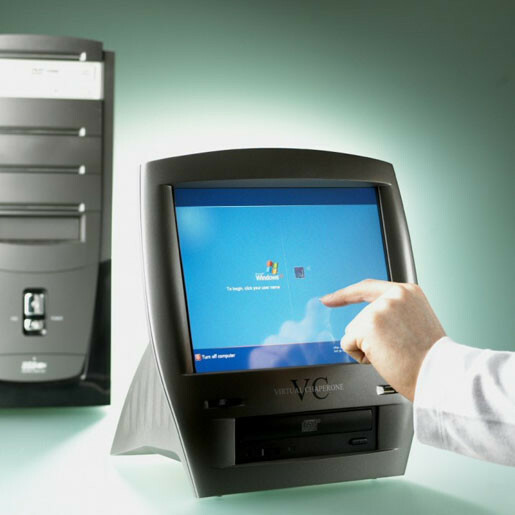 It also provides valuable information during informed consent and complicated consultations with a patient. 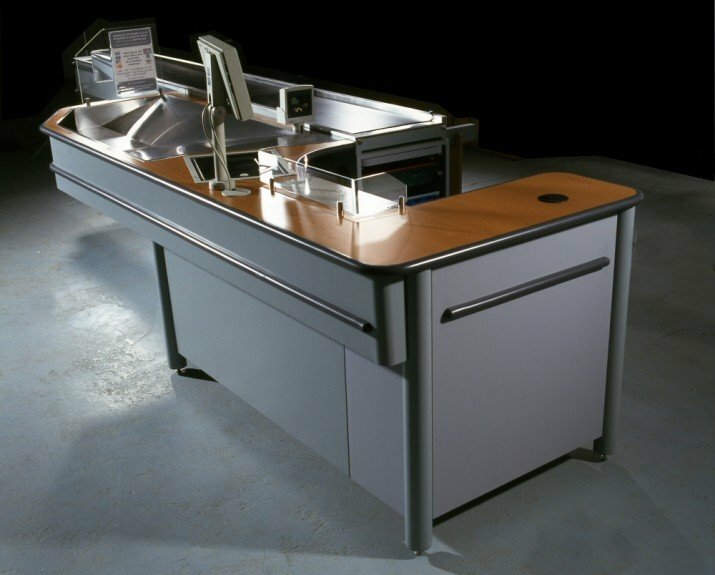 Rapitypes provided production tooling and batch manufacture for an initial run of 200 units. RIM PU moulding was selected as the most appropriate manufacturing route for the housings whilst the chassis components were CNC punched pre-coated steel. The paint finish was in-mould coated and RF shielding was applied as a post process. Most of the projects undertaken by Rapitypes contain some element of development as part of the assignment. The Self-Serve vending machine drew on our facilities at every level. Rapitypes designed and engineered this novel battery powered vending machine for commercial environments, carrying out all of the engineering work, the electronic design for the coin recognition system and the dynamics of the product delivery mechanism. 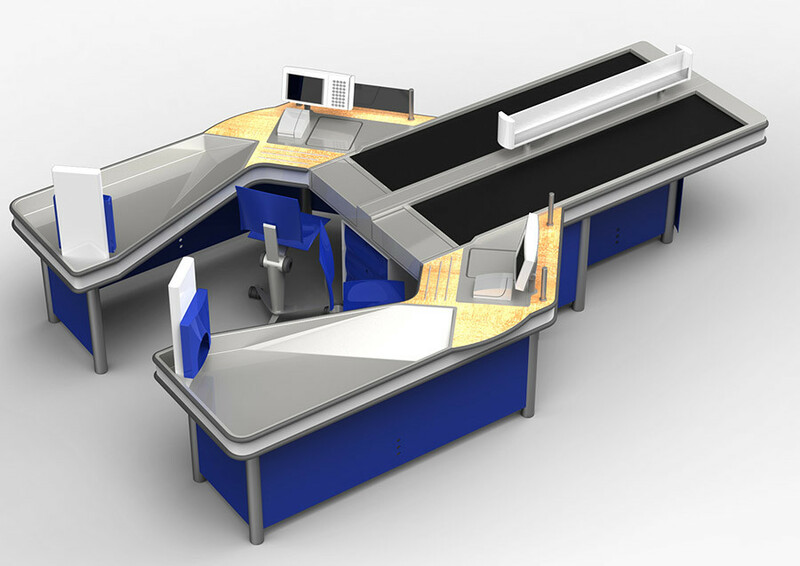 We provided shelf support systems and product drive mechanisms, as well as creating coin recognition system runways and channel mechanisms in the prove-out period. Finally, we made 4 functioning machines with prototype parts for testing during the acceptance trials. It took two years to develop the Tesco ‘Simple’ checkout. The successful design met the vast majority of the requirements as specified in the design specification. It was quicker to use, cheaper, ergonomically superior and contained more storage than the previous design. Customers appreciated the better service which the customer assistants were able to give them (often a sign of good ergonomics). The checkout enabled improved customer service, rather than preventing it, achieving its fundamental objective. Rapitypes were instrumental in building rigs and models to prove the efficacy of the designs and in providing engineering assistance.